If you have followed my blog for a while, you know that once upon a time I was trying to collect all of the Girl Scout Council patches. Well, I got them all! Woo hoo!! This is a lot of work and was sometimes a lot harder than it sounds. When thinking back to those awesome people that helped me with trades, trips to their council shops because the shops wouldn't ship out of state? ?, and the groups I stalked for months... I feel blessed and connected to my Girl Scout sisters all around the world. Yes. World. Because I have a few patches from England, Switzerland, Australia, and others. Crazy awesome! This past week, I drew up my plan, cut out all the pieces, and start sewing it together. It's far from done, but it's well on it's way. It's a multiple step project. I will be putting the quilt top together, then having it quilted (I don't do that), and then ironing on the patches. I plan to use Heat N Bond or maybe Badge Magic.. there are a ton of patches, so Heat N Bond sounds like a wiser choice. If there are quilters out there who have any suggestions or tips on the best way to get 120 patches onto a quilt, I'd be thrilled to hear from you. Hi Lora. I'm a quilter and a longarm quilter so if you don't find one in your area to quilt it I'd be happy to do it. 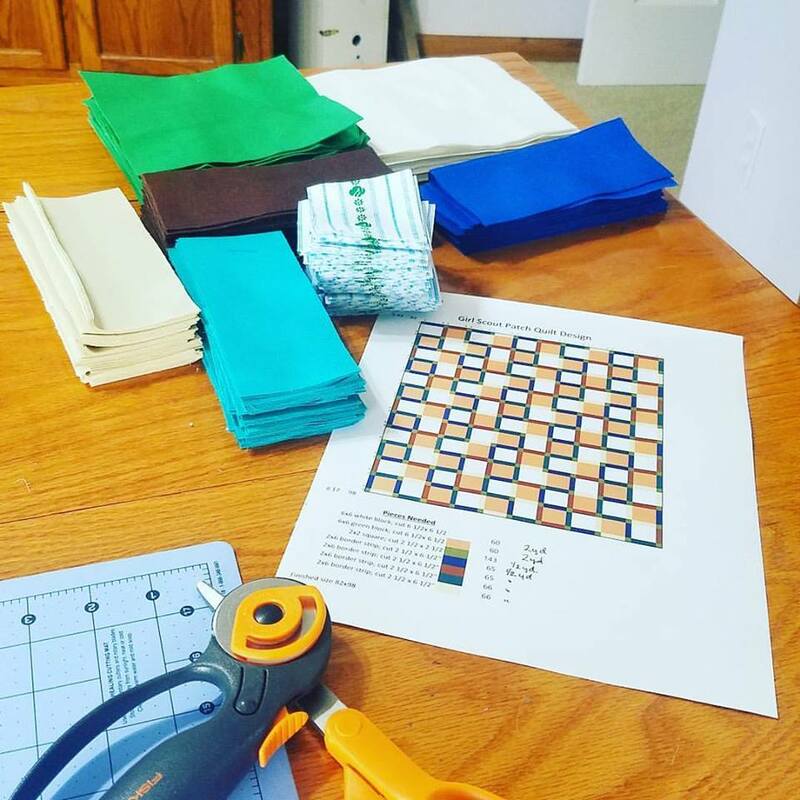 Have you made a quilt before? I can help with tips if needed. 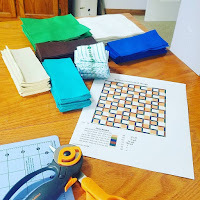 If it is quilt you are going to use, I highly recommend sewing around the patches as well as using an adhesive because no matter which one you use, they will peel off over time. There are a number of applique adhesives available. I typically use one by Pellon (available at Joanns), Steam a Seam Light or Misty Fuse. Whichever one you pick use the lightest one you can as the patches themselves will make it very heavy. Feel free to ask questions.